41 mins: Costa links up with Pedro again but Pantilimon comes out to punch the ball to safety before the striker could head into an unguarded net. Surely it's only a matter of time before the hosts get a third. One added minute of stoppage time. Costa catches a flailing arm from O'Shea and makes a bit of a meal of it but the referee isn't having any of it. The Blues have been in charge from the first whistle. 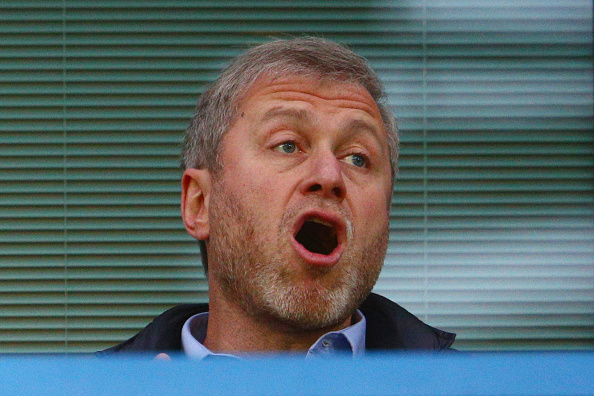 They've been helped by the awful performance that the Black Cats have produced but Roman Abramovich will probably be pretty pleased with that first-half display from his side. Goals from Ivanovic and Pedro have the hosts in control. There's been a marked performance from Chelsea. The disgruntled body language that has been a common sight in recent weeks has not made an appearance. As it stands Chelsea will climb to 14th place in the table, could a resurgence under Hiddink be on the cards? The Blues are available at 15/2 to get into the top four with Bet Victor. PENALTY! Pantilimon brings down Willian and the Blues have a spot kick! GOAL! Oscar fires home from 12 yards! The Brazilian sends the goalkeeper the wrong way and Chelsea should be home and hosed. Everything has gone wrong for Sunderland today. Chants of Jose Mourinho are still ringing around the stadium along with a few jeers of "Where were you when we were s***?" directed towards the Blues' players. GOAL! Borini pulls one back! 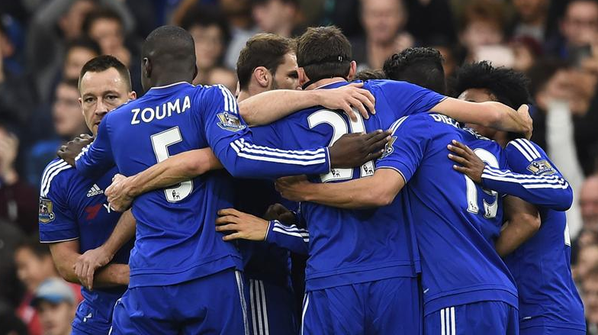 No sooner had Chelsea appeared to put the game to bed Big Sam's side get back into it. Johnson swings in a free kick and Kaboul powers a header back across goal. Courtois palms the defender's effort away but can only direct it into the path of Borini, who taps home from close range. CHANCE! Defoe ties Ivanovic in knots and flashes an effort across goal but it flies wide of the target. Chelsea's defence has gone to sleep in the last few minutes. Johnson finds Borini with a perfectly weighted pass but Borini's curling effort drifts just wide of the post. CHANCE! Defoe latches onto a poor header from Zouma and the striker swivels past the Frenchman with a smart turn. But he snatches at his effort and Courtois looks glad to see the ball fly wide. CLOSE! Oscar sends a curling effort at goal and Pantilimon is frozen to the spot. Fortunately for the keep the Chelsea man's effort flies into the side netting, but plenty of fans thought it had sneaked inside the bottom corner. The Spaniard's withdrawal is met by a chorus of boos, which then makes way for a smattering of applause. Has Fabregas burned his bridges at west London? Costa's exit also draws a mixed reaction from the Stamford Bridge crowd. Costa has just walked down the tunnel...heading to the airport for Spain already? CHANCE! Remy looks full of beans and is determined to prove a point. The Frenchman bursts into the Sunderland half and goes for goal, despite having several teammates in good positions, but his effort is clawed away by Pantilimon. 80 mins: This is finely poised. 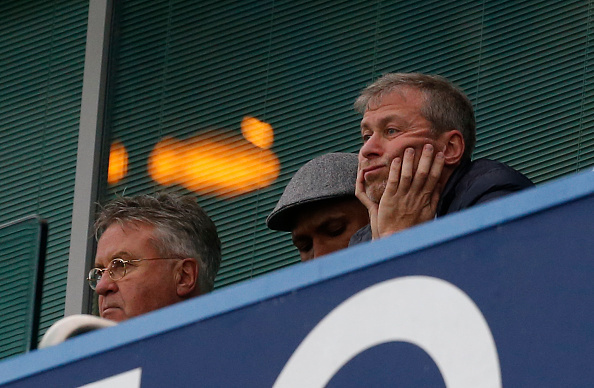 Sunderland are pushing for a second, which would really test Chelsea's frail confidence. But the Black Cats looks vulnerable and, as they commit men forward, the Blues will get chances to get a fourth goal. Chelsea make their final change of the day and Oscar's exit is greeted by widespread approval. The Brazilian has been the best player on the pitch today. CHANCE! Terry charges out of defence and lays the ball off to Willian. Terry continues his run but Willian slips the ball into Pedro on the right flank and ignores his skipper. The Spaniard looks certain to score but gets his effort all wrong and the ball flies over the bar. He just needed to keep that down and this game was over. The striker's quick feet are too much for the Chelsea defence to handle and only the Belgian's brilliance stops the former Spurs man from finding the net. CLOSE! 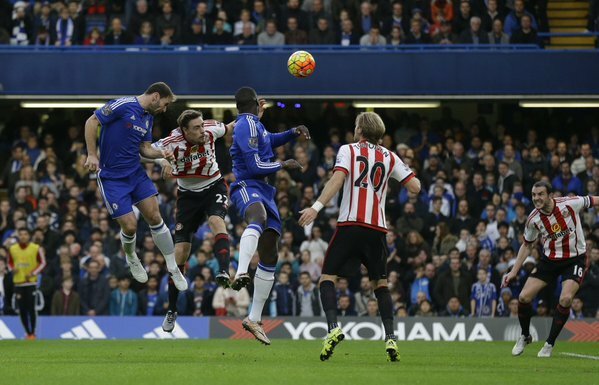 Willian lashes a free-kick at goal but Pantilimon collects it comfortably. A smaller goalkeeper probably wouldn't have. Three added minutes. Chelsea have rode out the storm by the looks of it. Chelsea had a bit of a wobble in the second half but they were rarely at risk of losing the game. Sunderland were poor defensively but Hiddink will have been concerned with his new charges' lapses in concentration too. Former Blues striker Chris Sutton: "Chelsea made the right decision at the right time to sack Jose Mourinho, but watching that today he will be feeling robbed. They did not play like that for him." Today was only a small step. Chelsea have plenty of work to do if they're to rescue what has been a disastrous season but the early signs suggest that Mourinho's exit could lead to a bounce in performances. That brings an end to our live coverage of today's game - I hope you enjoyed it. Keep your eyes peeled because Standard Sport will have plenty of reaction for you as the evening goes on. If you haven't heard - Leicester will be top at Christmas!